KARACHI – The Foundation for a Drug-Free World (FDFW) recently launched its 10th international competition ‘Poster/Drawing/Presentation 2012’. The first position in the first category was bagged by Rameez Ali from Islamabad; second by Mohammad Shahzaib Shoib of the Army Public School & College (APS&C), Saddar, Karachi; and third by Talha Shahzad of the APS&C, Kharian Cantt. The first position in the second category was bagged by Natalia Ashraf of the APS&C, Malir Cantt and Faisal from the Children’s Cancer Hospital; second by Kinza Hanif of the Karachi Grammar School; and third by Aimal Farooq of the International School of Choueifat, Lahore. The FDFW is a non-profit organisation headquartered in Los Angeles and dedicated to the eradication of illicit drugs. The Foundation is also working for the cause of promoting drug-free life among the youth. 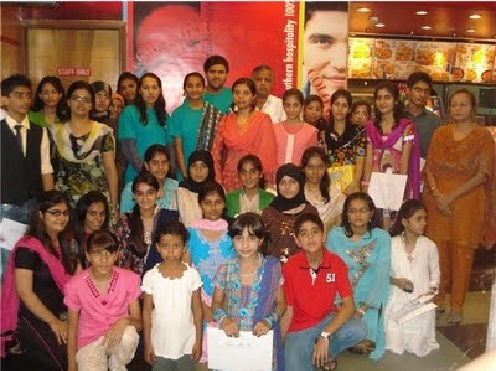 Its Pakistan chapter was opened by Director/Trustee Judi Shervell in 2009 and Sewani was made the Pakistan Coordinator to launch activities of FDFW in the country.